Critical thinking and open conversation are essential to teaching a sensible use of technology. Education in the Digital Age involves the use of apps and virtual content as learning resources. Schools condition children and young people to get comfortable with the use of technology since day one, which leads us to a crucial question for education in the 21st-century: What do students do with their time online when they are not studying? Nowadays we go online for absolutely everything. It’s a much more immersive experience than our parents had with television or radio. With traditional media, you can just turn off the device and move on, but when you need the Internet and digital content to for so many basic tasks, like communicate with other people, get the news, find the best route and even to aid you in the learning process, plugging out is nearly impossible. It is instrumental to learn the difference between merely teaching how to use the Internet as a tool and train people to develop critical thinking and social awareness in the Digital Age. Lisa Nielsen, an expert in Educational Innovation and author of the blog The Innovative Educator, presents a key point to understand the need for a better approach on teaching how to use and interact with digital content. 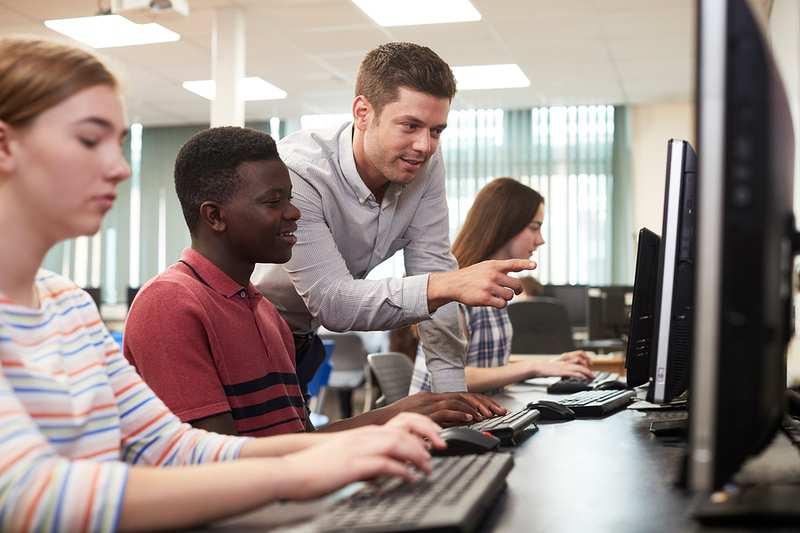 Any school program that seeks to train students in the better use of technology needs to be based on a formative intention, not on restriction. Is not about cutting down screen-time or monitor activities on the Internet while students are young and then expect them to know how to handle themselves online when they're grown-ups, without having taught them nothing about critical thinking, empathy or social awareness. Schools need to encourage young people to use the network more safely and profitably, to achieve this we need to do the right questions: Why do they need this tool? How will it help them to be better people, or give back to their communities? To have an open conversation with students, know first how they spend their time online, which websites they frequent, what kind of content they prefer, which social media channels they use the most, how do they manage their privacy and content on those channels, where do they get their news from, do they fact-check? It is essential that as teachers we build a curriculum that can help students join the digital life the right way. A method capable of training people with critical thinking, human sensibility and a specific ethics code for the use of digital content and online interaction will do more for the future of education than trying to isolate students from the platforms they use daily.